TotalSim helped with the development of the Aston Martin LMP1 Car. Do you need help in the aerodynamic development of your vehicle? TotalSim can help. Having lead the aerodynamic development of vehicles in nearly all forms of the sport, TotalSim are ideally placed to help you achieve your aerodynamic goals. Whether you are still in the conceptual stage or have a car already on track, we can make you go faster. 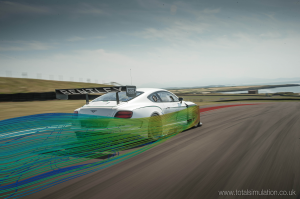 TotalSim can provide complete aerodynamic analysis of external and internal flows, and we can quickly evaluate key aerodynamic data such as drag, downforce, balance and cooling flows. We have developed a highly efficient and refined CFD (Computational Fluid Dynamics) process that allows for rapid turnaround of results. A full car simulation can typically be completed in less than 12 hours. 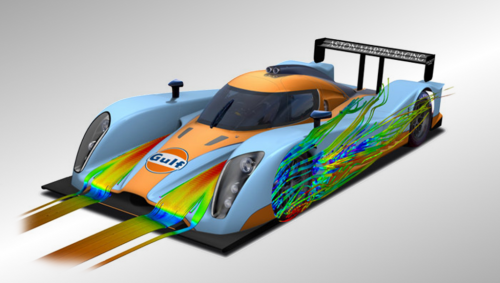 We have the resources to conduct a large number of CFD simulations concurrently, allowing for rapid aerodynamic development. We can optimise individual components using advanced multi-parameter optimisation techniques coupled with CFD morphing technology. 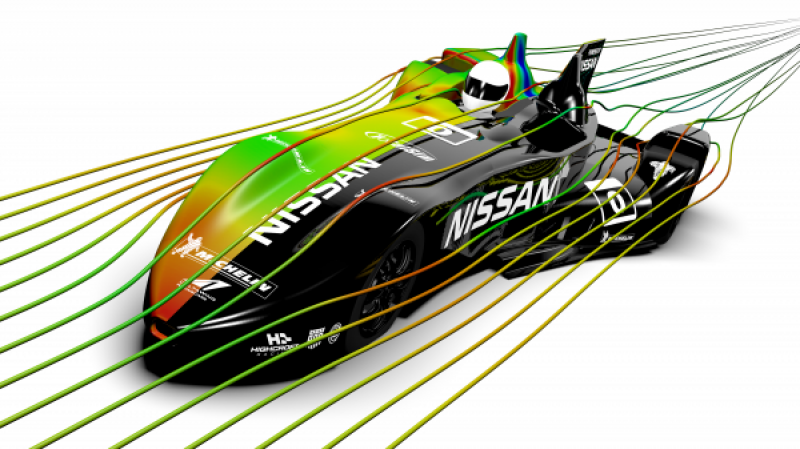 The Nissan Delta wing went straight from CFD to full scale testing, with all the conceptual CFD work car. TotalSim has consistently delivered performance gains seen computationally to the track. Several of our clients now go directly from CFD to full scale testing, removing the need for expensive scale model testing. Interested in receiving our newsletter? Use the sign up form below.